It's been a full month and I didn't post often, so I thought a wrap-up might be in order. The Gig Harbor Canoe and Kayak Racing Team won the National Championships for the sixth time! My youngest brought home several medals and qualified as a Team USA teen athlete for the Olympic Hopes (not the big Olympics) Regatta in Poland in September. My oldest brought home a few medals, despite only practicing for three months ahead of time. My husband is regaining his health (just in case you didn't hear). My husband and I celebrated our 22nd Anniversary! I celebrated my birthday, but the day took a somber turn when I discovered a childhood friend had passed away from an unexpected heart attack that morning. I spent most of the afternoon in mourning. I feel like my life has been shaken and stirred in a somewhat cliched way - live life fully, take time to tell people you love them - but also in other ways. I remember some advice my friend gave me a year ago, advice I didn't follow, and I'm considering a rather big change-up to follow it. She was right. She usually was. And, she impacted thousands of lives around her as a teacher, counselor, principal, and assistant superintendent - she had a short life, but a life well-lived. On a fun note, I get to sing with the Praise Team nearly every Sunday these days. It's a blast! We bought a used car for our older daughter. We packed it up and we packed up the van, then she and I drove to Montana State University to prep her apartment for her second year of college life. I walked between 6-10 miles a week and rode the exercise bike (no hills inside) between 6-57 miles a week, depending on the week. I cleaned up our yard a bit more (trying to keep the wildlife out of the main yard, out of the garden bed, and off the porch - meeting Bambi's dad on the deck or on the way to the trash can is unpleasant, especially when he thinks he owns the place). Less rampant foliage = fewer critter crossings. I made some tiny progress on my Greenling Chronicles Book 1 revisions (baby steps, but steps). I tackled some non-fiction project revisions (baby steps). I re-created four class syllabi for the school year. I decided (99%) that this is the new cover for Ashes Burn, Seasons 1-7 (The whole micro-series, release date October 8th). Pre-order available through Smashwords and Smashwords' supported retailers. BTW - I thought I would pick up speed with blogging this summer and fall, but so far, September is looking very busy with life, so I will probably only post twice then. 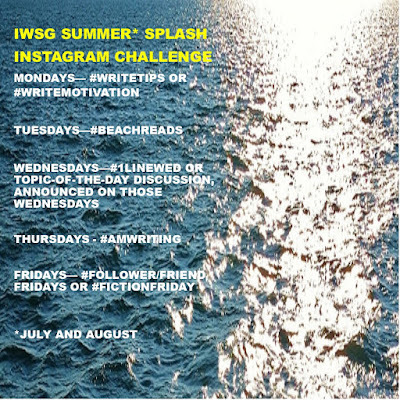 See you for IWSG! For those who stopped by and commented on either post last week, thank you for your kind words, encouragement, prayers, and positive thoughts! If you haven't heard - my husband is back on his feet and going strong again! Our family went to Oklahoma City for the 2018 Flatwater Sprint Canoe and Kayak Nationals held by the ACA (American Canoe Association) and hosted by the Oklahoma City Canoe and Kayak Club in the Boathouse District (an incredibly nice area in OKC). We had a roller coaster week, with my husband going into the hospital the night before the races started and staying there for about 40 hours. I had a cot in his room the first night, but the second night he felt much better so I managed to get some sleep in our hotel. Our daughters (17 and 19) both competed in all of their races and I was able to watch most of them, although I missed a few and I missed some of their award ceremonies. Our family's team, the Gig Harbor Canoe and Kayak Racing Team, is one of the bigger teams in the country despite the fact that we operate out of a public park and off a public dock in a harbor on the Puget Sound (cold salt water). The largest canoe and kayak team is Lanier Canoe and Kayak from Georgia, the team who holds the record for winning the most National Championships. We had a five-year winning streak, then took second to Lanier Canoe and Kayak last year, and this year - we won again! But, what really mattered the most to me this week isn't having my daughters on a winning team. What I loved most this last week is that my daughters are on a caring team and are part of a caring community. I had countless offers of help, prayers, and kind thoughts from our team members and from other teams (specifically, OKC and Bellingham). And, likewise, I had a caring team of people through the Insecure Writer's Support Group who offered up prayers and encouraging thoughts. Thank you! *BTW, Olympic Hopes is not the Olympics. Olympic Hopes is a yearly international competition for athletes 15-17. Again, I'm thankful for the amazing community of people we've been able to meet in this sport. If you like water sports, then I highly encourage you to find a Flatwater Sprint Canoe and Kayak team near you, or check out the ACA website for more options. FOR THOSE WHO READ MY PREVIOUS POST: My husband is out of the hospital and is doing okay. Thanks for your prayers and encouragement! Founded by Alex J. Cavanaugh, this encouraging blog hop rocks! 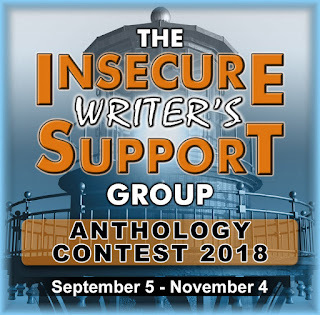 All writers welcome! Co-hosts this month: Lee Lowery, Erika Beebe, Susan Gourley, and Sandra Hoover. Optional Question: What pitfalls would you warn other writers to avoid on their publication journey? My short answer: Rushing any part of the process isn't worth it. If a bump in the process happens, take the time you need to traverse that bump, even if it means changing a book release schedule. 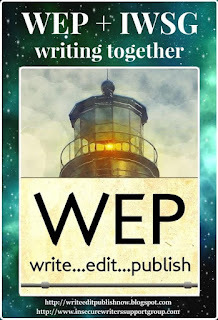 I created an unrealistic self-publishing deadline for my first novel, then I had a PC failure and lost my entire, beautifully copy-edited, proofed manuscript. 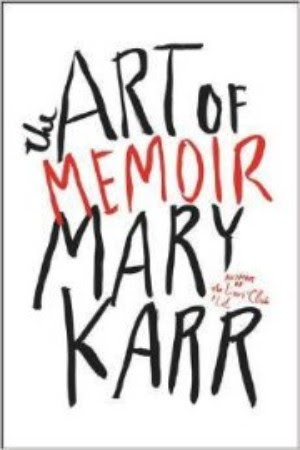 Instead of changing my home-made blog book tour, I spent some sleepless nights attempting to bring my "almost" final draft to the level it needed to be. Afterwards, a friend found nearly 200 mistakes . . . 200! I felt so foolish and embarrassed. Yes, I've fixed them since then, but I didn't have the awesome book celebration I had hoped. I made myself ill with sleepless nights and then suffered the shame of not being prepared. 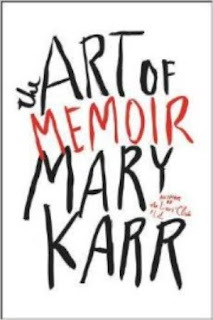 I did a bit better on the next two books in the trilogy, but I still pushed too hard in the months before my book releases (ones that I planned). So, please, take your time. Even if you have years' worth of manuscripts just cooling their heels on your PC and in your file folder, just make sure you're ready. I have at five partial-to-full projects cooling their heels. 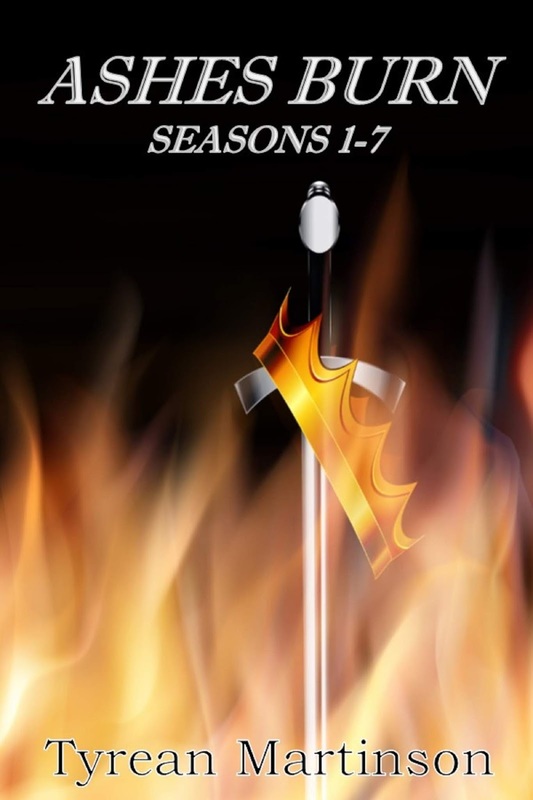 My experimental hint fiction series Ashes Burn is 95% ready to go (proofed, edited, formatted for e-book and for tiny paperback), but I'm fiddling with the cover and I'm giving myself another few months to finalize everything. It's a quirky project in a way (more than 200 hint and micro-fiction episodes create the whole story), but the genre is kingdom fantasy with a man on the run from his past, an evil king bent on war, and a sword-wielding princess who's tracking down her man. I hope to finalize my cover in the next two weeks, then I'll just sit on it and make sure it's ready. 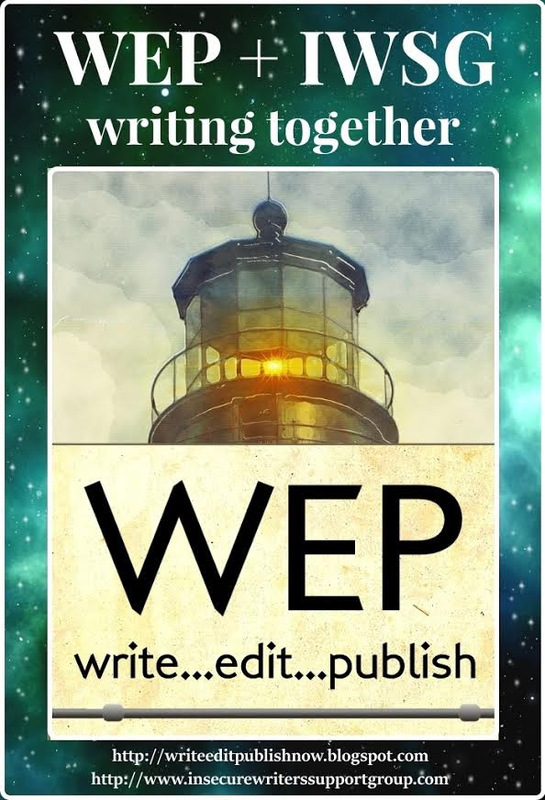 Self-pub release date: October 8th. 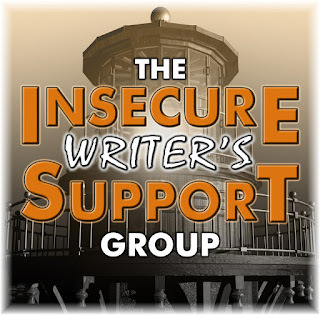 The Insecure Writer's Support Group is teaming up with the WEP challenge! 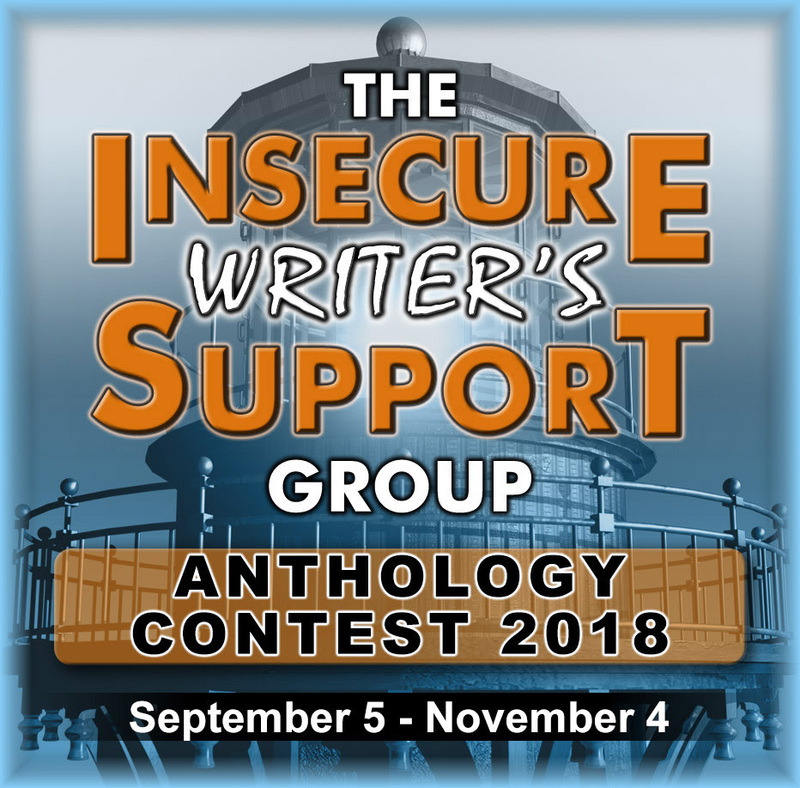 The 2018 IWSG Anthology Contest is Coming Soon! This year's genre and more information will be released in September! As the admin, I actually have veered a little bit towards Facebook on some Fridays, but having a news and promo day instead of a Follower/Friend or Fiction Friday. Hope that's okay. Please feel free to post and tag us! Thanks! 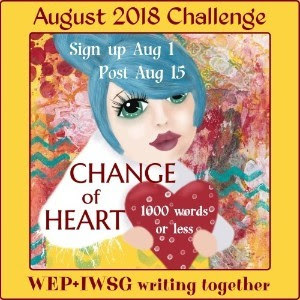 I have a post scheduled but it hasn't published and I can't seem to figure out why from my phone, which is all I have at the moment - in the hospital in OKC, not my home town, because my husband is having a health issue. So, sometime my real post will go live, I hope. Until then, I hope IWSG rocks. BTW, I am okay, just dealing with one of life's roller coasters.